The face of marijuana is changing in California and nationwide. No more are the images of stoners smoking pot in dark college dorm rooms, or hippie drumming circles of the 1960s and 70s. Access and interest in pot is ranging from business types to stay-at-home moms. The Beverly Hills Cannabis Club is a high-end marijuana dispensary that demonstrates this shift in pot buyers and a growing demand for pot at every social echelon. The dispensary displays an array of products ranging from edibles including marijuana-laced brownies, pretzels and candies to jars of the newly available cannabis strands which are arranged daily. 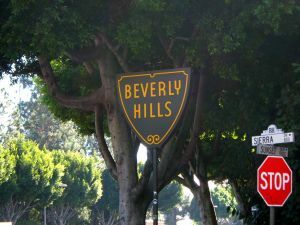 Another case offers an exclusive line of products with “Beverly Hills Cannabis Club,” clothing and products ranging from golf shirts, ashtrays, personal products, and hand-held vaporizers. The Beverly Hills Cannabis Club is one of many California dispensaries that is changing the face of not only pot smoking, but pot distribution. The founder and owner of the BHCC has taken a strategic approach to the distribution and sale of marijuana. Rather than take a grass roots “pro-marijuana” activist approach, the owner has taken a traditional business model with a focus on market opportunities. To promote her club and reform, the owner has been known to make regular television appearances. While critics say that she may be only selling herself, no one can deny that she is making waves and inspiring a discussion on the debate. California was the first state to pass medical marijuana legislation in 1996. Since then, 22 other states and the District of Columbia have initiated medical marijuana programs. Four other states have legalized marijuana for recreational use. The legal shift in marijuana law can be attributed to changes in cultural understandings of marijuana for recreational or medicinal purposes. In a large part, the trends rely on changing public opinion of marijuana use. According to the New York Times, the changes can be attributed to a shift with women. The 80s “Just Say No” campaign has faded, allowing individuals with medical conditions to use marijuana to alleviate symptoms. Women are taking a compassionate approach to marijuana, for themselves and their families. The female founder of the Beverly Hills Cannabis Club is a leader in the marijuana industry and is part of this shift that includes women. She calls herself the “Martha Stewart of marijuana” and has trademarked the phrase “Stiletto Stoners,” a nod to the glamor of pot smoking. The holding company of BHCC and is the base of a number of marijuana ventures, including a clothing line, vaporizing products, a magazine, and cannabis herbal remedies. She is also promoting 420-friendly yoga studios, cafes and assisted living centers. Entrepreneurs in California and nationwide can benefit from this cultural shift and attitude toward marijuana consumption. Dispensary owners should consult with an experienced advocate to ensure compliance with the law. Our Orange County marijuana attorneys will take a comprehensive approach to review your business operation, identify any compliance issues, and help you prevent state or federal liabilities. In the event that you are under investigation or facing criminal charges, we can protect your rights.